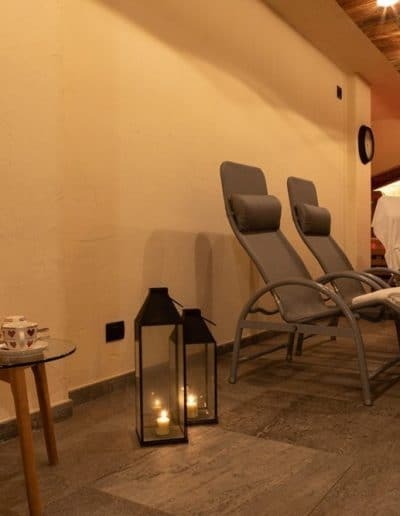 The wellness centre, both interior and exterior, enriches the offer of Maison d’Antan: little but complete, it is a little oasis of pleasure and peace, perfect to enjoy moments of pure relax. There is the possibility to get massages and it is open also to external guests. 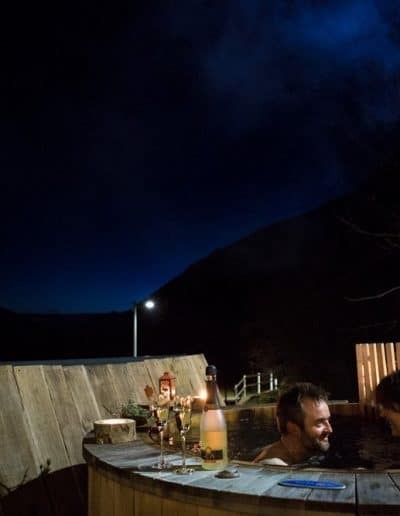 In the garden framed by the mountains of the wonderful Valpelline, in the traditional country style that always characterizes the Maison, there is a small spa with finnish sauna and Yacuzzi whirlpool for your holiday wellness-oriented. 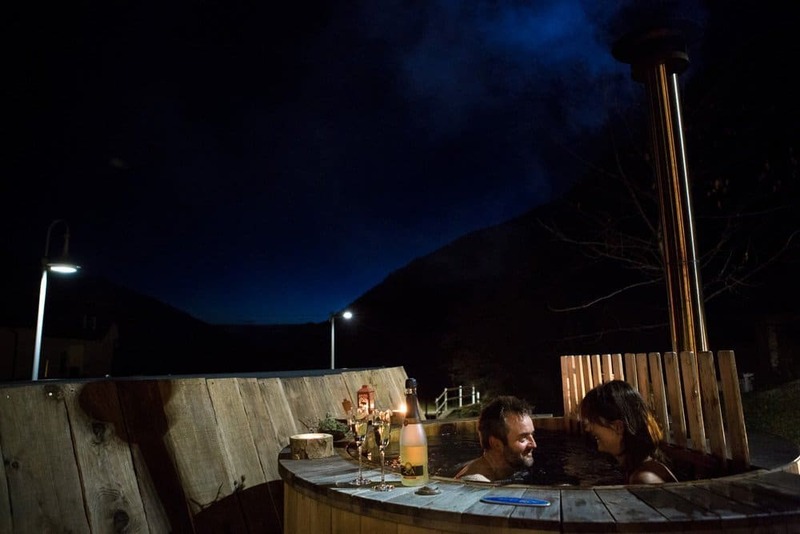 Ideal after a walk in our wild landscape, there’s no better way to stretch your muscles and eliminate toxins, leaving behind the everyday – stress. 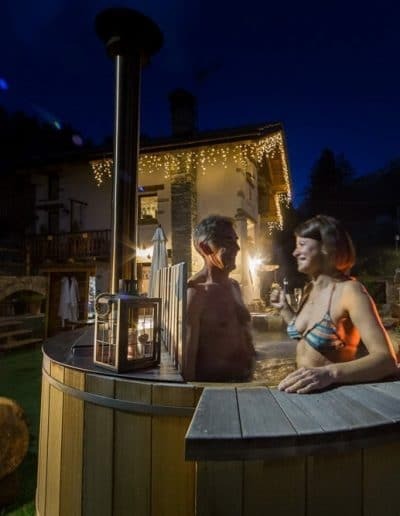 Immersed in water heated directly by the heat of the fire, you will enjoy an extreme relax certainly given by the surrounding environment and from whirlpool benefits. A unique sauna will help to eliminate fatigue and will restore tone and energy. 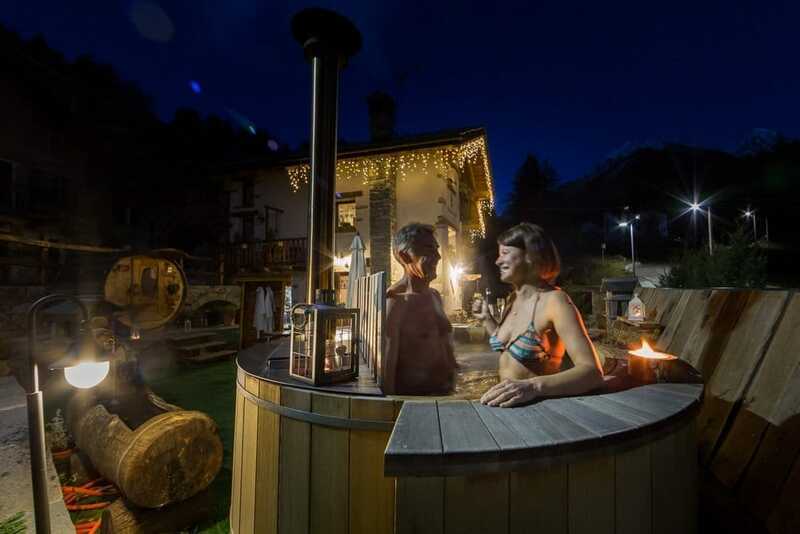 The long summer days will allow you to make unusual appetizers, at the edge of the yacuzzi, surrounded by bubbles. The snowy landscape of our long winters under the starry sky will be the background to a timeless experience! 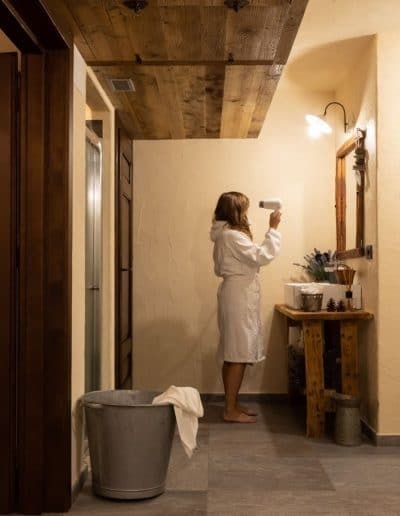 To satisfy every need, we have created an indoor wellness area, warm and welcoming, where wood and stone are a constant. 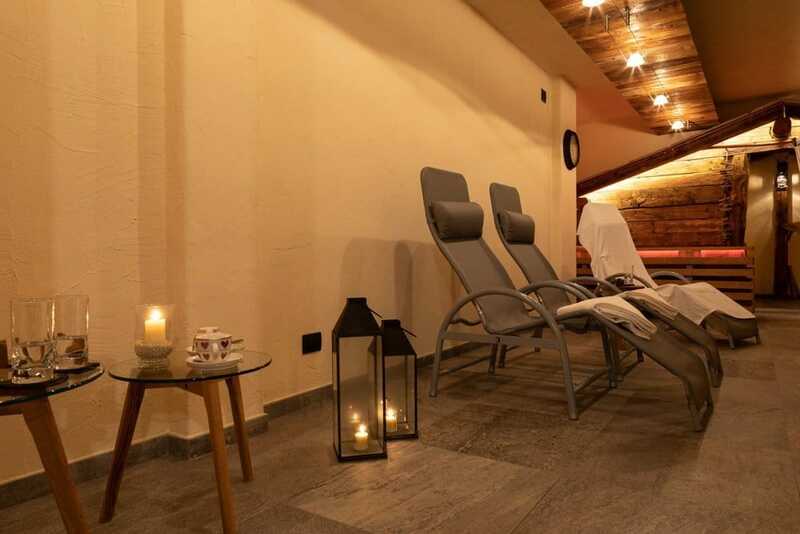 In addition to a hydromassage and comfortable loungers on which to enjoy the warmth of the fireplace, you will find an original Himalayan salt bed heated with chromotherapy, which brings numerous benefits to both the respiratory system and the skin. 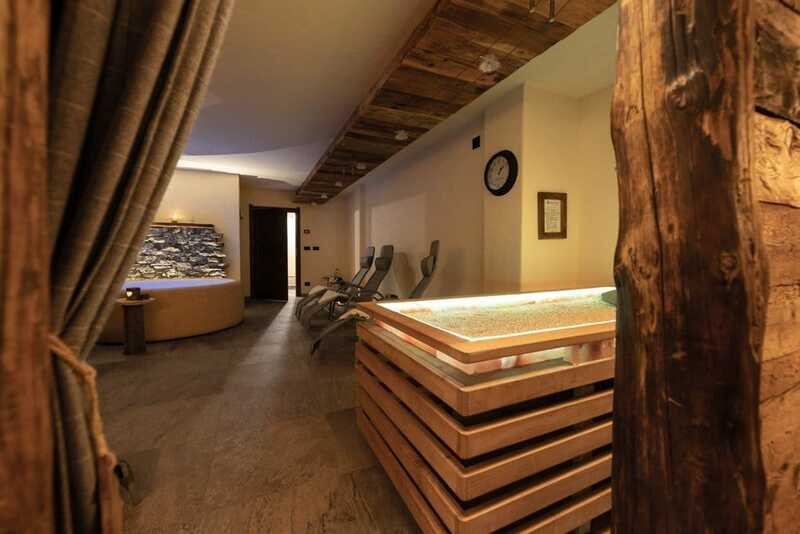 The rustic chalet inside, will take you to a humble country house, where you can breathe mountain air. 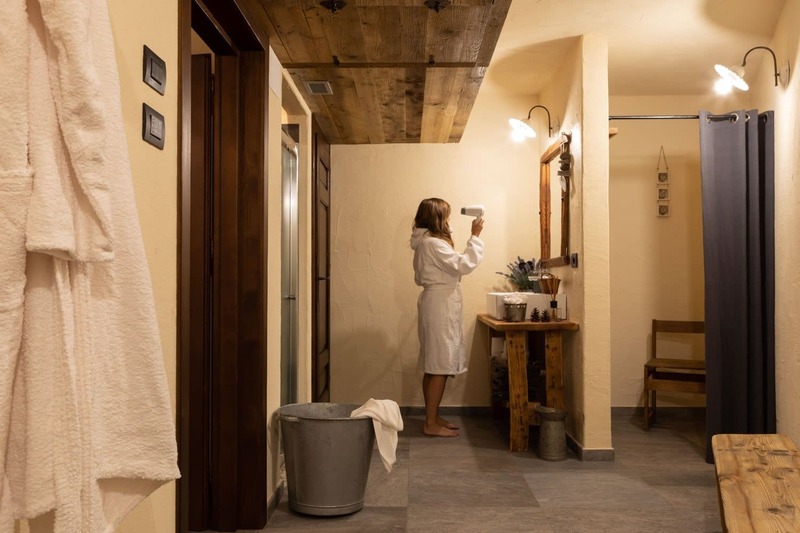 Here, you can indulge in a healthy rest on the hay bed, benefiting from the excellent properties of the alpine herbs that relax the back and cervical muscles. The SPA service can be used upon reservation and is also open to guests outside the hotel. 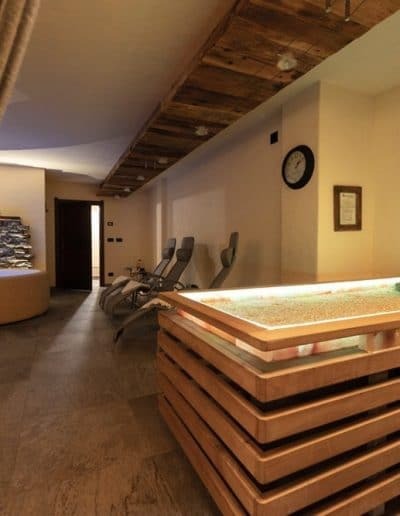 Also by reservation you can use the SPA for exclusive use and enjoy massages. Download the massage card and discover all our prices regarding massages and treatments.